The American Lung Association’s annual “State of the Air” report gives Camden County an “F” for ozone and a “C” for daily particle pollution. The greater Camden-Philadelphia-Vineland region is ranked among the worst in the nation, according to the report. It’s 16th worst for high ozone days out of 277 metropolitan areas; 22nd from the bottom for 24-hour particle pollution; and 10th worst for annual particle pollution. 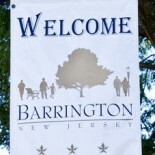 This entry was posted on April 26, 2012 by Barrington Bulletin in Region, Safety.